van den hul inspiration hybrid. The INSPIRATION HYBRID is a new product in our state of the art FUSION SERIES of audio interconnects and loudspeaker cables which incorporate our new developed highly advanced FUSION conductor material. The INSPIRATION HYBRID’s main application area is to serve as a highest quality twin lead loudspeaker cable, though it equally exels when used for bi-wiring, bi-amping or as an interconnect. The INSPIRATION HYBRID’s design incorporates a number of unique features which widen its field of application and improve performance compared to regular twin lead loudspeaker cables: The cable is equipped with a heavy shield. The signal leads are placed in a so-called star quad configuration. 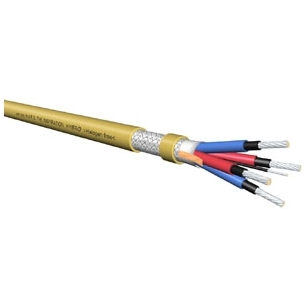 The cable contains a separate central ground lead which, if applicable (*), is intended to serve as ground connection between loudspeaker cabinet and amplifier ground. The above mentioned design features avoid possible audio signal interference caused by external electromagnetic noise radiating into your power amplifier’s signal (feedback) path, entering through the loudspeaker lines. Furthermore, when using digital (switchmode) power amplifiers, any radiation of residual noise from the loudspeaker lines is prevented. As such, these measures help to keep your system’s noise floor down, thereby allowing it to reveal more detail. (*) Remark: Some loudspeaker manufacturers now equip their loudspeakers with a separate ground connection: e.g. 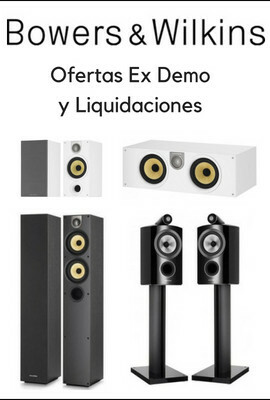 Tannoy with their new Dimension range TD-8, TD-10 and TD-12 and for sure others to come. Features (continued): The stranded signal lines are made of our new developed highly advanced FUSION conductor material and are furthermore embedded in a conductive layer containing our Linear Structured Carbon ®. The sonic result is a very detailed signal transmission with a superb spacious character. There is no sign of any sonic harshness or lack of definition. The jacket and insulation throughout the cable are made of HULLIFLEX ® 4, a very rugged insulation material which provides outstanding protection. Listen and be inspired ! Further details: In The INSPIRATION HYBRID four star quad configured signal lines surround a central ground lead. The signal lines are intended to be pairwise combined to form a twin lead loudspeaker cable with a total cross-section area of 2 x 3.94 mm² and a resistance of 2 x 1.4 Ohm/100 m. The central ground lead is intended to serve as an optional ground connection between any amplifier and loudspeaker’s ground terminals. Next to the signal lines’ star quad configuration and separate ground lead, additional protection against R.F. interference is provided by the cable’s heavy braided screen, which should be grounded at the amplifier side and be left disconnected at the loudspeaker end. Having four signal lines, The INSPIRATION HYBRID is also suitable to be used as a bi-wiring or bi-amping loudspeaker cable; (Total cross-section area: 4 x 1.97 mm²; Resistance: 4 x 2.8 Ohm/100 m). Next to our standard sales units (see specifications below) The INSPIRATION HYBRID is also available on 50 m. reels fitted with end-caps to prevent any entrance of chemically polluted air. Shipping: 1 x 50 m. reel in a 310 x 310 x 290 mm. box with a total shipping weight of 12.2 kg. Specifications: The INSPIRATION HYBRID Cable Type: Screened 5 conductor Conductor Material: FUSION TECHNOLOGY: amorphous Cu/Zn/Ag alloy + HYBRID: Linear Structured Carbon ® saturated layer(s) Design Purpose / Application Area(s): Highest quality loudspeaker cable / Exotic DIY interconnect Eff. Conductor Ø / Eq. AWG No. / Strands: Each signal lead: 1.97 mm² / ~AWG 14 / 98 Ground lead: 0.56 mm² / AWG 19.6 / 7 Screen: 4.45 mm² / AWG 10.7 / 252 External Diameter / -Dimensions: 11.5 mm. Resistance (20 °C / 68 °F): Two red or blue signal leads combined: 1.4 Ohm/100 m. Central ground lead: 3.2 Ohm/100 m. Screen: 0.45 Ohm/100 m. Capacitance: 318 pF/m. Characteristic Impedance: - Insulation / Dielectric Strength / Test Voltage: Cores: HULLIFLEX ® 4; Jacket: HULLIFLEX ® 4 / 300 Vrms min. Connector Types Suitable: When combining leads into pairs (e.g. as twin lead speaker cable or at amplifier side of bi-wiring cable): Our 5.0 mm. Ø cable entrance diameter Bus type Universal Speaker Connectors; Custom mountable on any length ordered; For termination of individual leads: Our 3.0 mm. Ø cable entrance diameter Bus type Universal Speaker Connectors or our DIY Screw-On Speaker Connectors; Both custom mountable on any length ordered. Standard Sales Units / -Lengths: 50 m. reels; With connectors mounted to specifications: any length; Without connectors: please consult your van den Hul dealer or the van den Hul distributor in your country. With connectors mounted the cable is also available in stereo pairs (i.e. two separate cables) in the following standard configurations: Bi-amping configuration: Each of both cables having 4 connectors at the amplifier side and 4 connectors at the speaker side. Bi-wiring configuration: Each of both cables having 2 connectors at the amplifier side and 4 connectors at the speaker side. Normal wiring configuration: Each of both cables having 2 connectors at the amplifier side and 2 connectors at the speaker side. Jacket Colour(s) Available: Gold tone Remarks: Mounting: When twin lead wiring a loudspeaker, the two internal red leads should be combined to form the loudspeaker + connection. Likewise, the two blue leads should be combined to form the loudspeaker – connection. When bi-wiring or bi-amping a loudspeaker, the first red and blue conductor pair is used to connect one speaker section and the second red and blue conductor pair to connect the other speaker section. When ordered with connectors mounted, The INSPIRATION HYBRID comes ready made with a ground lead at each side of the cable: At the cable end located in the direction of the “van” side of the “van den Hul” cable printing (i.e. at the amplifier side), both the cable shield and the cable’s central ground lead are connected together and exit as a ground lead, which is to be connected to the power amplifier’s dedicated ground terminal (or chassis). If it is impossible to connect this ground lead to any ground terminal (or chassis screw) at the amplifier, it can be connected to the amplifier’s “–” (i.e. black) output terminal of the channel in question. At the cable end located in the direction of the “Hul” side of the “van den Hul” cable printing (i.e. at the loudspeaker side), the cable shield is left disconnected. Here only the cable’s central ground wire exits as a ground lead. If your loudspeakers are equipped with ground terminals, this ground lead should be connected to the speaker’s ground terminal of the channel in question. If your loudspeakers are not equipped with ground terminals, this ground lead should be left disconnected. 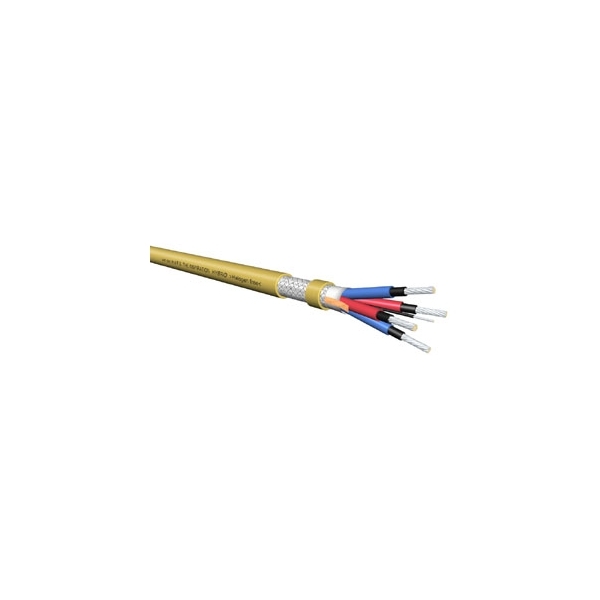 Our The SUPER NOVA is a heavier 4x(13.4 mm² / AWG 6) non Fusion Series relative of this cable. Van den Hul MC Magnum Hybrid. Diseño redondo de polaridad separada con conductores de cobre libre de oxigeno de alta pureza recubierto de plata más una estructura linear de carbono, sección 2 X 4,67mms, dieléctrico de Hulliflex. Precio por metro sin conectores. precio/m. Conductores de cobre libre de oxigeno de alta pureza recubierto de plata más una estructura linear de carbono, sección 2 X 5,23mms, dieléctrico de Hulliflex. Van den Hul MC CS122Hybrid. precio/m. Diseño plano con conductores de cobre libre de oxigeno de alta pureza recubierto de plata más una estructura linear de carbono, sección 2 X 2,96mms, dieléctrico de Hulliflex. precio/m. Diseño plano con conductores de cobre libre de oxigeno de alta pureza OFC recubierto de plata, sección 3,31mms, dieléctrico de Hulliflex, color blanco.